Viva la dolce! : CHIN Radio turns 50! This upcoming weekend marks a very special occasion, and no, I'm not talking about Father's day (although that's also a very special celebration as well!)! This weekend features one of the biggest celebrations of multiculturalism, The CHIN International Picnic! This event, which is held in Toronto - specifically in the "heart of Little Italy" this year on College St. - is celebrating it's 50th year, along with the radio station who holds the event, CHIN Radio/TV International. This golden anniversary is very special, as it marks the hard work and determination of the station's founder, Johnny Lombardi, in celebrating cultural diversity in Canada. 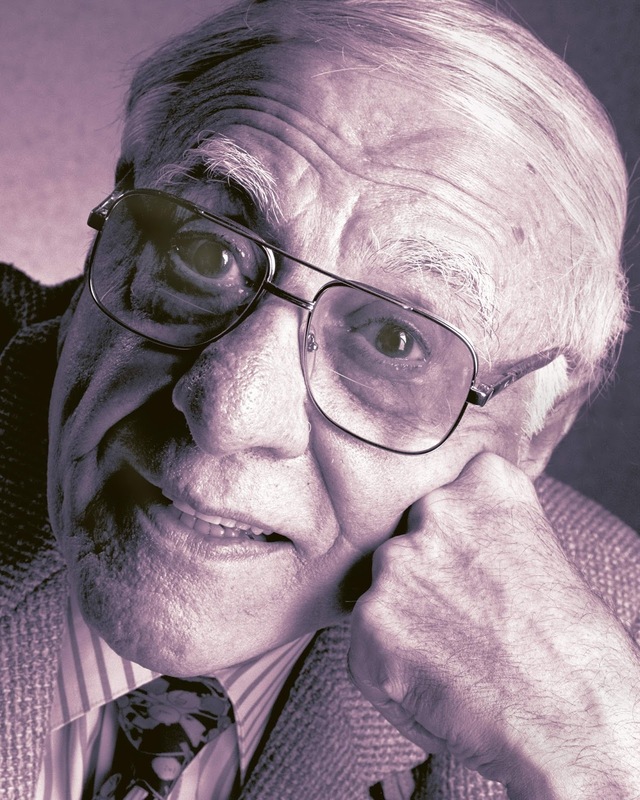 Born in 1915 to immigrant parents, Giovanni "Johnny" Barbalindardo Lombardi, rose from rags to riches becoming a self-made millionaire and the recipient of many awards and medals in his lifetime, including the Order of Canada. As a young boy, Lombardi often suffered for being Italian, as the culture was frowned upon in Canada at the time. Often being ridiculed, and even once turned away from a public pool due to his ethnicity, you would think that Lombardi would have renounced his heritage. Instead, Lombardi grew up celebrating his culture fiercely and eventually became known as the "unofficial mayor of Little Italy" in Toronto. Before he earned that title, Lombardi earned many other accomplishments. From a young age, Lombardi's determination and vision set him apart. As a child, he studied music and taught himself to play the harmonica, the bugle and the trumpet. His efforts gained him many gold medals - the firsts of many acknowledgements. He always loved music and the theatre, and would often go to the now non-existent, SHEA's Theatre, in downtown Toronto, hoping to catch a glimpse of the performers on stage. At age 10, Lombardi began studying music with the Boys "K" Club and Columbus Boys Club, which were service clubs for underprivileged children. In the years that followed, he joined various bands, and even formed his own, all the while working odd jobs. In the 1930s Lombardi got his big break playing as lead trumpet for the Benny Palmer Orchestra in London, Ontario. He held this position until he joined the army in 1942, where he served as sergeant and entertained the troops with his trumpet. He received many decorations and honours throughout his service and was invited by the Prime Minister of Canada in June 1994, to attend the 50th Anniversary commemoration of the June 6, 1944 D-Day invasion of Normandy. His passion for the arts never swayed as he even stayed on for an extra year after the war was ended to direct entertainment for the troops waiting to go home. He was one of the last Canadians to leave Holland in 1946. Upon Lombardi's return to Toronto, he opened up a grocery store. He decided to offer imported specialty Italian foods in his store, capitalizing on the ever-growing Italian immigrant population in the Toronto area. 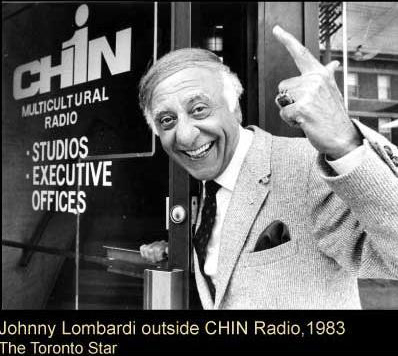 One year later, Lombardi invested in another bright idea - he bought a weekly one-hour time slot on CHUM Radio, where he advertised for his store and played music tailored to the Italian community. This marked the beginning of what would be known as the leading multicultural radio broadcaster in Canada. Throughout the 1950s, Lombardi's impresario career flourished as he organized various concerts throughout the city featuring Italian singers from Italy. While he continued to produce radio programmes on CHUM to promote his supermarket, concerts and community events, he then started a record label entitled, "Bravo Records and Music," to promote Italo-Canadian singers. On June 6th, 1966, Lombardi's dreams of owning his very own radio station came true, as he applied for a multicultural radio station and launched CHIN Radio. The offices and studios were first housed above the supermarket, before eventually being moved into the building across the street near the intersection of Grace and College Streets. Today the station broadcasts in over 30 languages, with stations in both Toronto and Ottawa. In 1966, Lombardi also launched the CHIN International Picnic - "the world's largest free picnic." Since the Canadian Bureau of Broadcast Measurement would not report on an audience that was neither English nor French, Lombardi used the picnic as a way to prove to advertisers that his station had an audience. With attendees in the hundred thousands over the years, Lombardi definitely proved his point! The picnic was first hosted on the Toronto Islands and then at the Canadian National Exhibition until 2014, after which it was moved to College St. It is clear that Johnny Lombardi was unlike any other. His passion, energy and enthusiasm for culture was unparalleled. He was a pioneer for multiculturalism in Canada, long before it became official policy of the nation, as he truly enjoyed celebrating and bringing together the beauty of various ethnicities. He definitely lived up to his title of "Great Communicator," as he had a special way of reaching audiences through various mediums. As a graduate of communication studies, a singer at heart, a writer, and an educator, I can definitely say that I can greatly relate to this amazing man, who proves that one can excel in many areas in life when one puts their mind to it. His fervor and zest for life and the art of communication is so very inspiring! Although Lombardi passed in 2002 at the age 86, his legacy thankfully lives on for future generations through the hard work of his family and the many individuals who are part of the "CHIN Famiglia. As a past employee of CHIN Radio/TV International, I can honestly say that his spirit can be felt throughout the building and the continued work of the station. He is definitely smiling down from the heavens and saying to all, "You are doing a buona jobba!" Congratulations CHIN Radio/TV International on your 50th anniversary! The CHIN Picnic runs from June 18th - 19th. Visit www.chinradio.com for more details.